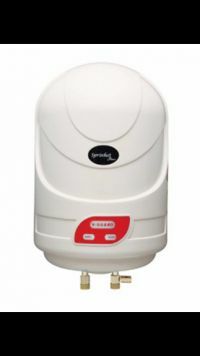 For a warm and comforting bath V-guard brings an essential appliance for heating water named Sprinhot Plus IWH in various capacities from 6- 35 Litre. It features a long life heating element that offers it extended durability and performance for many years. This heater is best suited for high rise building and pressure pump applications. 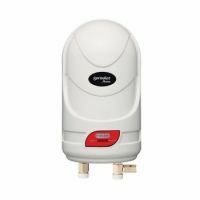 With automatic temperature regulation through thermostat, this water heater keeps your power and heating status optimized. The sleek aesthetic looks of this heater add to your bathroom decor. Its comes with an outer cover made of rust proof ABS material. 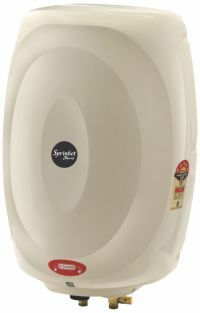 Multiple safety system of this instant water heater ensures a safe operation. With ABS Body, the V-Guard Instant Water Heater shows resistance and can serve you for a long period of time. This water heater uses hi-tech thermostat and its thermal cutout turns it off, when there water temperature over-exceeds the set limit, providing you safety. Its high-rated pressure withstanding capacity comes from the automatic temperature regulation through thermostat and it can actually withstand pressure up to 6.5 Kg/sq cm. To Recieve updates and possible rewards for V-Guard Sprinhot Plus 15 L please sign in. To Recieve updates and possible rewards for Geyser/Water Heater please sign in.